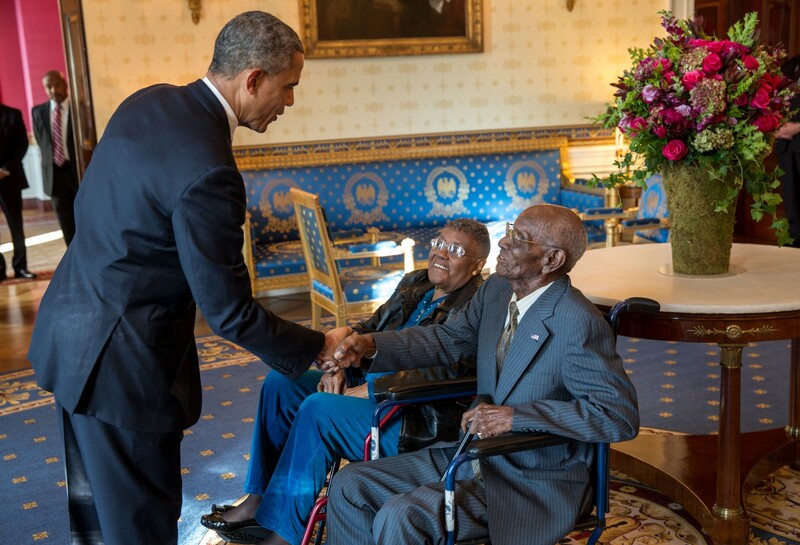 Richard Arvin Overton was the oldest surviving World War II Veteran and the oldest man living in the United States. Mr. Overton died at the age of 112 years old on Thursday, December 27, 2018, while recovering from pneumonia. He was very dear to us here at the VLB and we were fortunate to have him right here in Austin for all these years. Mr. Overton was born on May 11, 1906, in Bastrop, Texas, to his parents Gentry and Lizzie Overton. He grew up with six sisters and three brothers in Creedmoor, a small town about 15 miles south of Austin, then he moved to Taylor and then on to Dallas. He enlisted in the U. S. Army in 1940, at Fort Sam Houston at the age of 34. 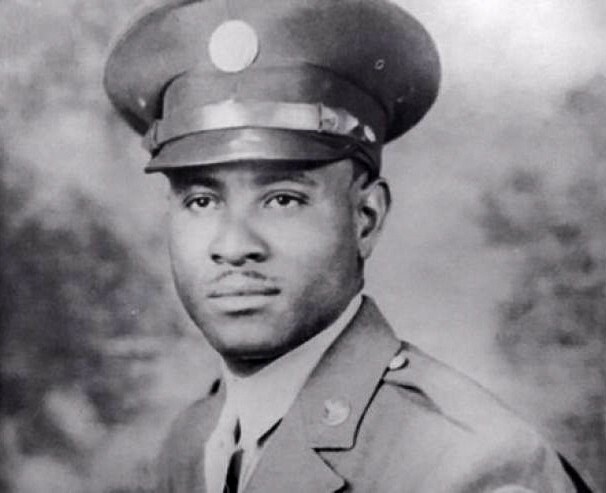 He served with the segregated 1887th Engineer Aviation Battalion in the South Pacific Theater during World War II through 1945. Private First Class Overton arrived in Hawaii just weeks after the attack on Pearl Harbor and his tour of duty included Guam, Angaur, Peleliu and Iwo Jima. When he left the military, he held the rank of Technician fifth grade. 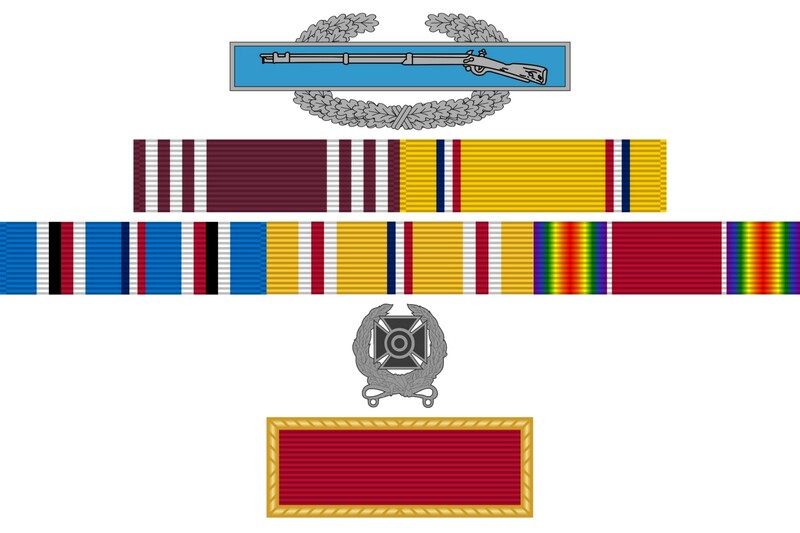 Mr. Overton earned the Expert Rifle Marksmanship Badge among many other military awards including the Combat Infantryman Badge, Meritorious Unit Commendation, U.S. Army Good Conduct Medal, American Defense Service Medal, American Campaign Medal, Asiatic-Pacific Campaign Medal, and the World War II Victory Medal. After the war, Mr. Overton returned to Austin and worked in a furniture store and then as a courier for the Texas Department of the Treasury at the Capitol before he retired in his 80’s. He lived in the same house that he built on Hamilton Avenue in East Austin for 73 years. He was married twice and had no children, but he was loved by many. Mr. Overton spent a lot of time with friends and family and whiled away many hours on his front porch watching over his neighborhood. He always joked that the secret to his long life were his daily cigars and whiskey. If you look up his address on Google Maps you can still see him sitting on his porch! In 2013, when he was 107, President Barack Obama invited him to Washington, D.C., to visit the White House and participate in a Veterans Day ceremony at Arlington National Cemetery. Mr. Overton also visited the World War II memorials in Washington D.C. with Honor Flight Austin. 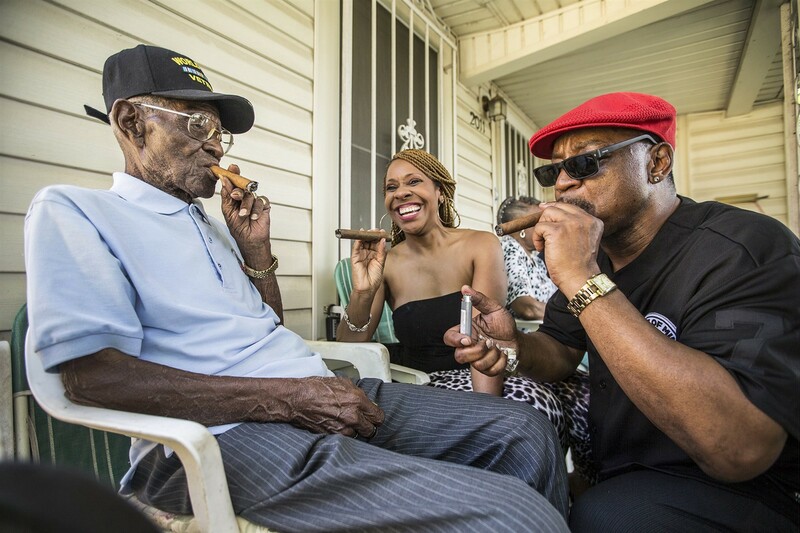 In 2017, the City of Austin gave his street the honorary name of Richard Overton Avenue and proclaimed that his birthday, May 11, was officially Richard Overton Day. 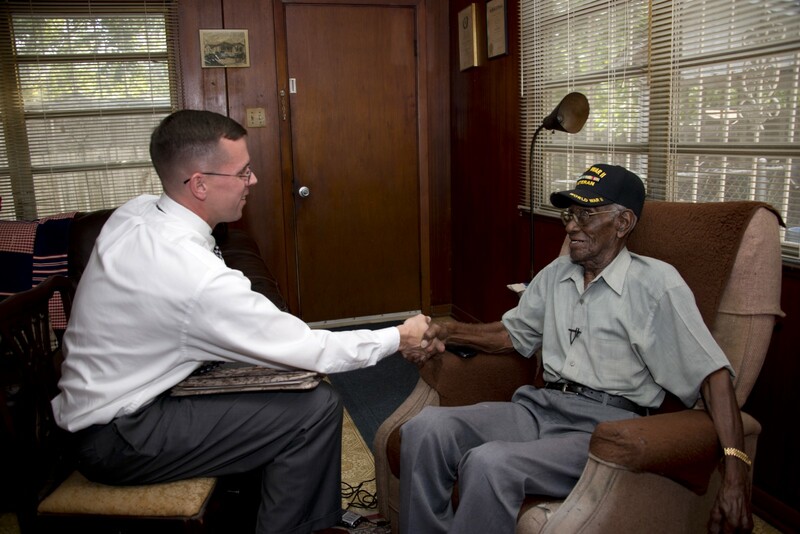 Former VLB Voices of Veterans Program Coordinator, James Crabtree, interviewed Mr. Overton in September 2013 for the oral history program, where he tells the story of his early life and military service. One of his final wishes was to have his house turned into a museum, so everyone can see his photographs, and military honors and memorabilia. The Cook Walden Funeral Home in Austin will hold a public viewing on Friday, January 11. A celebration of life will be held for Mr. Overton on Saturday, January 12, at Shoreline Church, followed by committal services, with full military honors, at the Texas State Cemetery. Both services are open to the public. Rest in peace kind sir, you were a blessing on this earth.